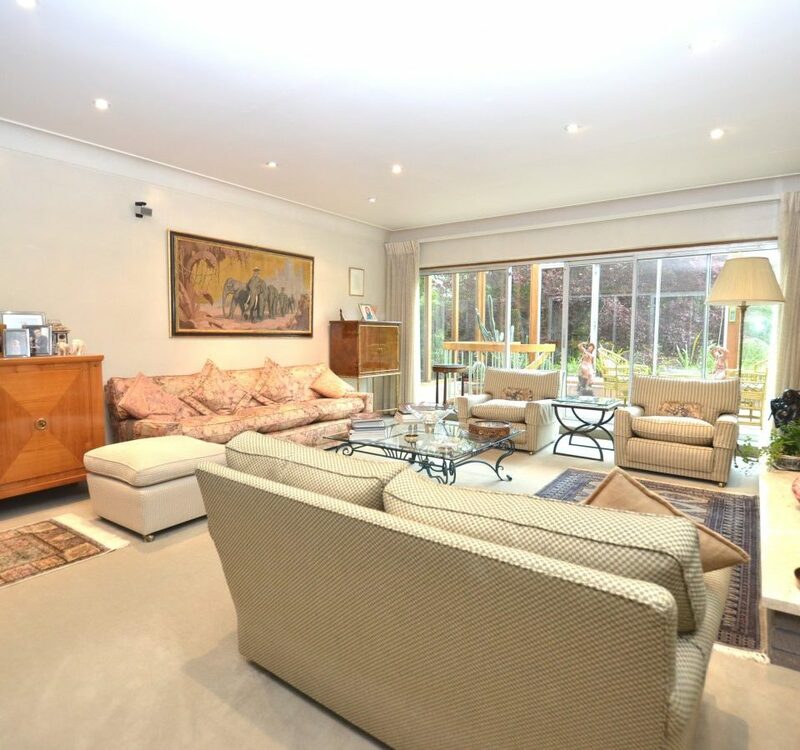 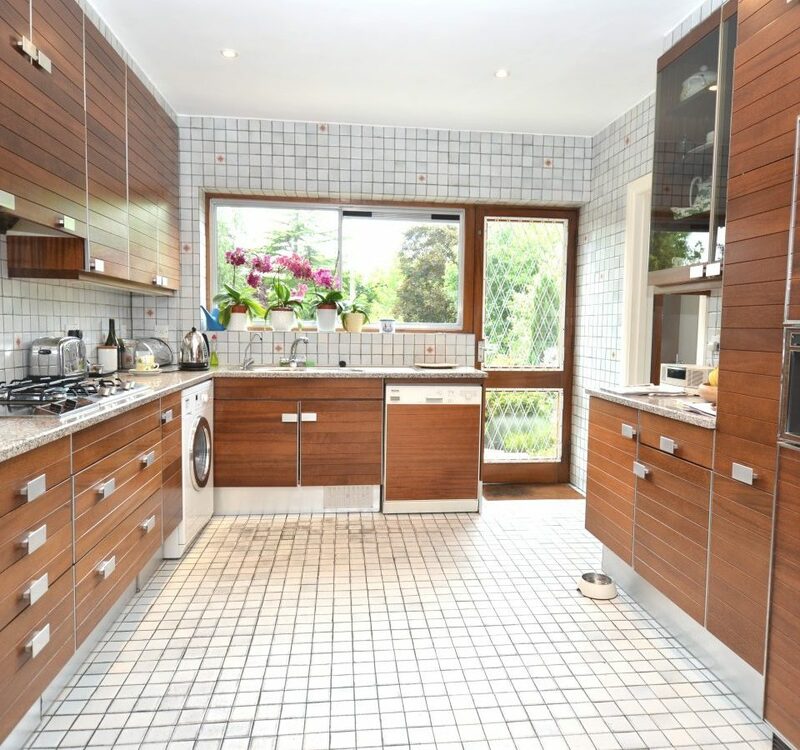 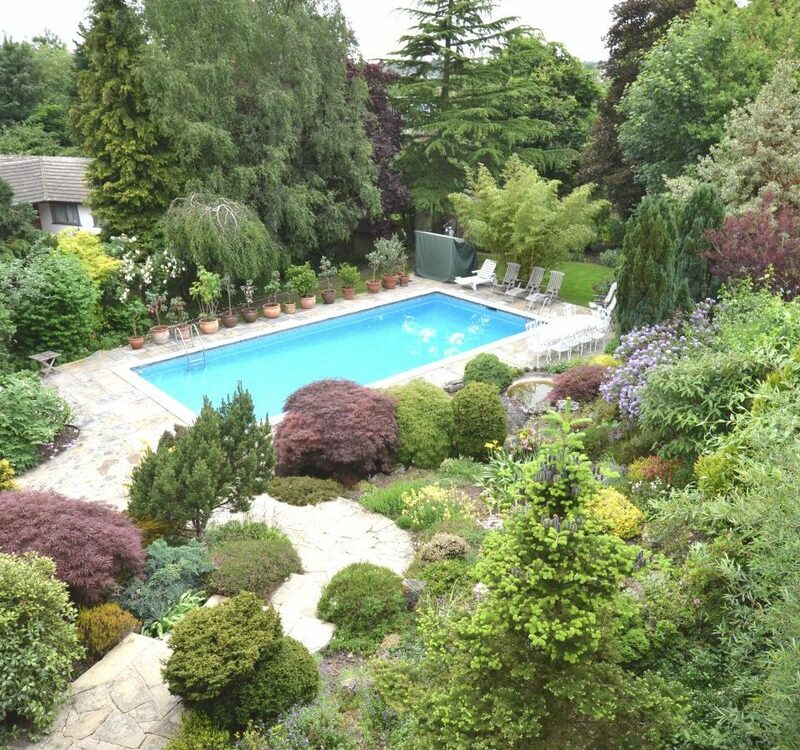 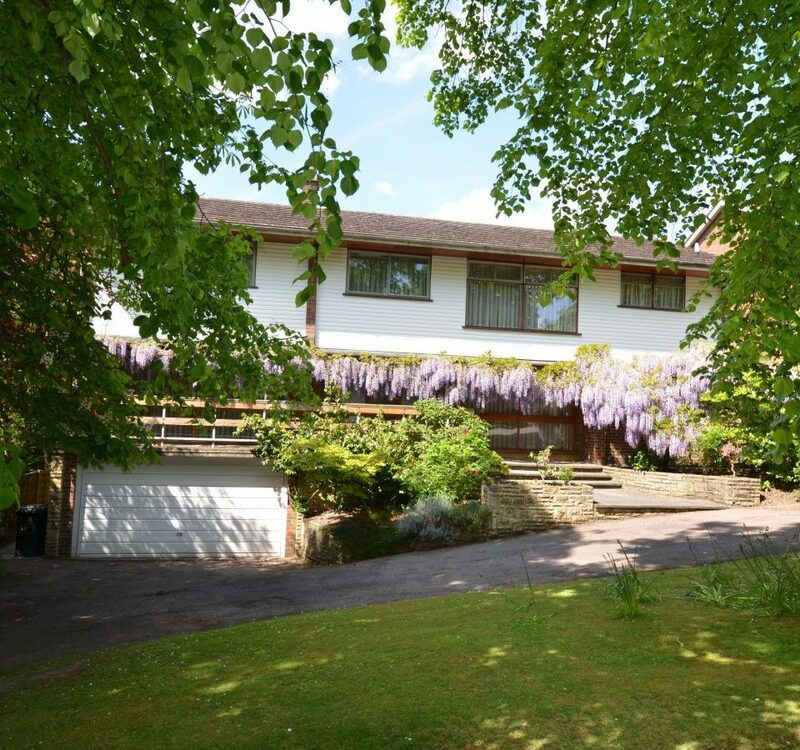 An opportunity to acquire this 5 bedroom, 2 bathroom (1 en suite) detached home, set in just under one third of an acre, approached via a carriage driveway and boasting a mature landscaped rear garden of approx 183 ft with heated swimming pool. 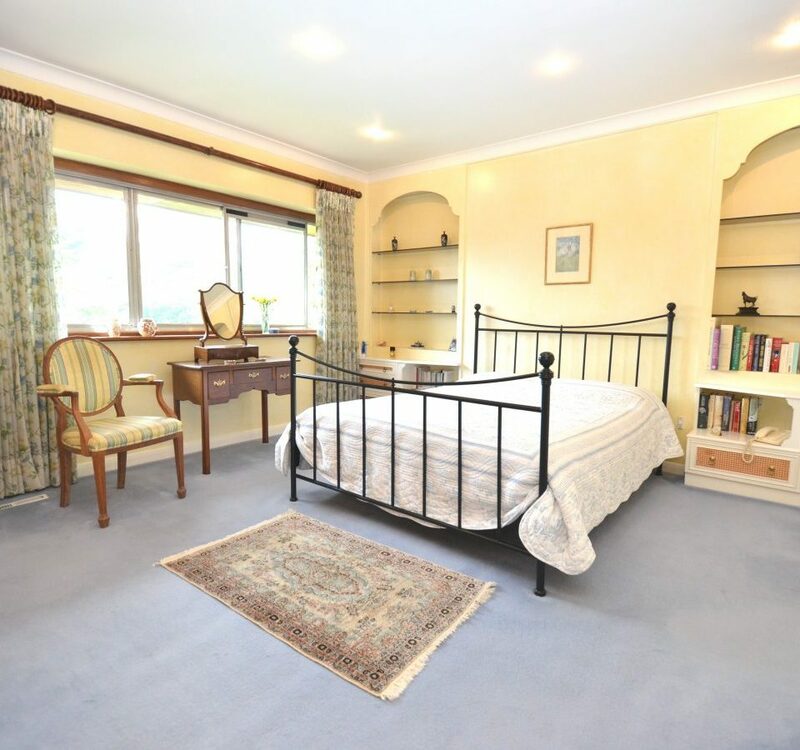 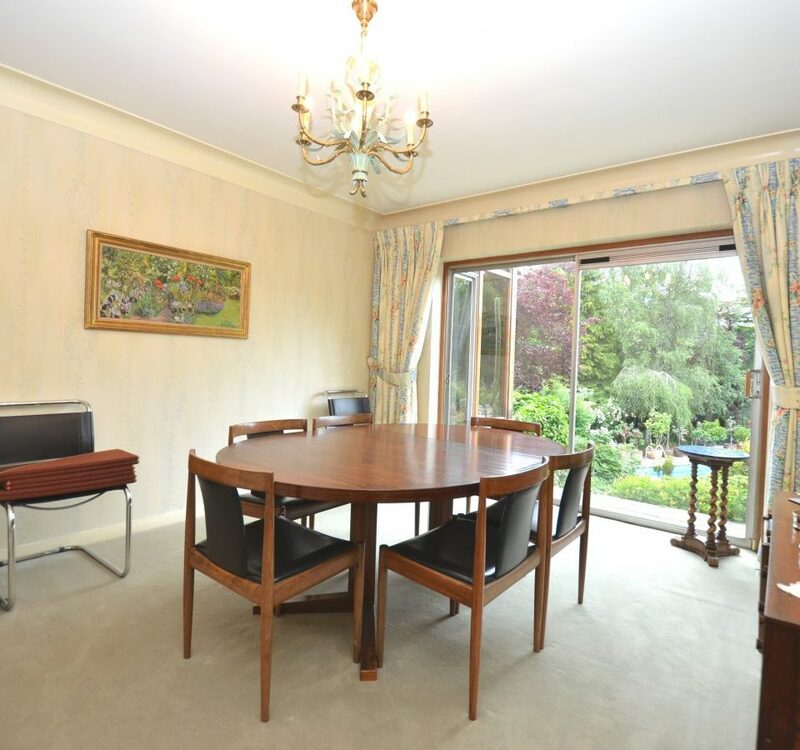 The spacious accommodation comprises double aspect drawing room, dining room, conservatory, fitted kitchen, study, family room, and a spiral staircase leads down to the playroom. 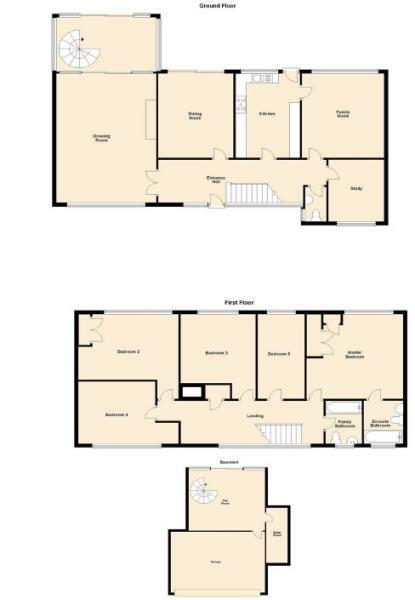 To the 1st floor, there is a master bedroom with en suite bathroom, 4 further bedrooms and family bathroom.